Assam Government’s former Additional Chief Secretary, MGVK Bhanu joined the Assam Congress on Monday. He announced he is trying to get a ticket from Tezpur Lok Sabha constituency. He is a strong contender for the Tezpur Lok Sabha constituency. APCC president Ripun Bora along with other party leaders welcomed MGVK Bhanu to the party in the Congress head office in Guwahati. This development just before the upcoming Lok Sabha elections is seen as significant for the party. Bhanu has a special relation with Tezpur as he has accomplished many developmental works in the area during his posting here. 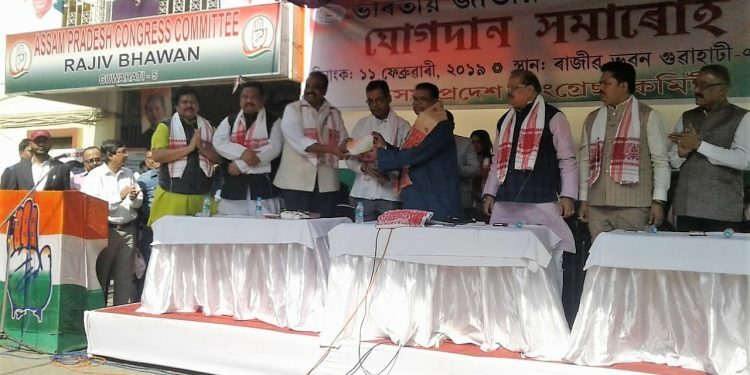 Top Congress leaders Rockybul Hussain, Ripun Bora, Dwijen Sharma, Pawan Singh Ghatowar, Rekibbudin Ahmed and other party functionaries were present in the joining ceremony.